Acresfield Primary in Chester has achieved this national award for the second time. The core professional purpose of Acresfield Primary School which is cited on the school website, really sets out the school’s commitment to inclusion and determination to achieving the best outcomes for all pupils – “Acresfield Primary School is an inclusive community that challenges and inspires its children in a creative and engaging way, laying the foundations for life”. Acresfield Primary School is a one-form entry school located in a semi-rural area. The last Ofsted inspection in 2014 found the school to be Outstanding in all areas and from spending the morning speaking to the pupils, staff, governors and parents, it is easy to see how well-deserved this achievement has been. Acresfield is led by a dynamic and forward-thinking Headteacher Mr Dixon, whose practice is shared across other schools in the local area. His commitment to high standards for the pupils of Acresfield was highlight in the Ofsted report – ‘He has very high aspirations and has led a relentless drive to secure the highest levels of achievement’. Parents/carers can be secure in the knowledge that their children receive an exceptional standard of education and receive support and guidance from an inspirational team of professionals. 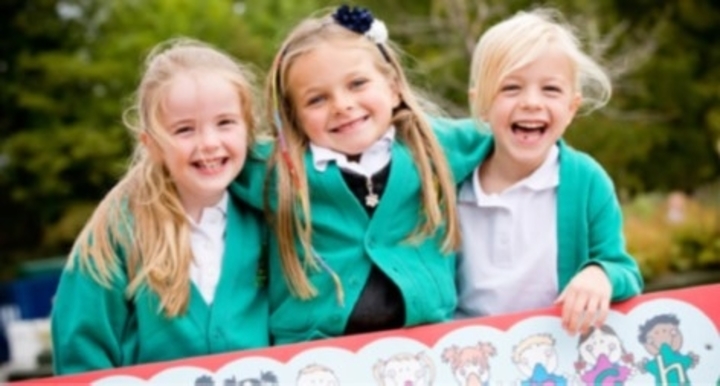 Acresfield provides a warm and welcoming environment where their pupils flourish in developing the necessary skills to become successful learners. The school caters for a group of 12 children who have EHC plans due to Moderate Learning Difficulties and complex needs, within a resource base called Busy Bees. Beyond the resource base there are a small number of children receiving SEN support across the mainstream classes. The experienced Inclusion Manager, Kate Roberts manages the inclusion of pupils from Busy Bees into classes across the school and also provides additional support to pupils who require specialised input in the main classes. Her understanding of inclusive practice is extensive and she has a thorough knowledge of what her pupils require in order to make progress and have equal opportunities to others. It was clear from speaking to the pupils that Acresfield is their school and they have ownership over their environment. Their contributions are valued at all levels and it was evident through initiatives such as the highly successful Better Playground Project that pupil voice is very strong at Acresfield. The impact of this ethos is that the pupils are thriving in a setting which fosters collaboration, leadership skills and celebrates diversity. The Ofsted report highlighted that ‘Governors are highly effective and fully involved in all aspects of the school’s work showing excellent knowledge of the school and able to hold it to account thoroughly’. The Assessor can confirm that this is still the current standard and Governors demonstrated their commitment to the inclusive values of the school in all discussions on the day.